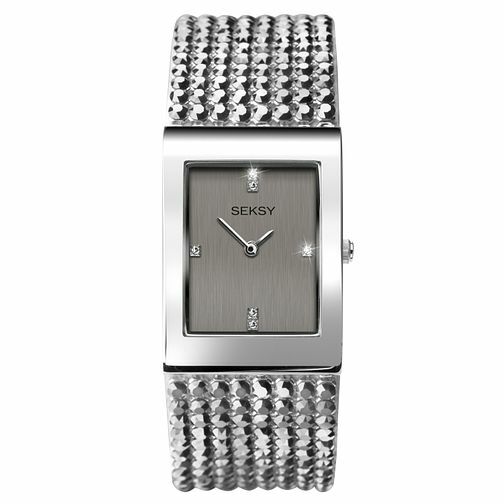 Wear a unique timepiece on your wrist with this statement Seksy bracelet watch. This timepiece features a rectangular rhodium plated case showcasing a contemporary grey stone set dial. The watch is fastened with a rhodium plated bracelet and white leather strap embellished with metallic light chrome crystals from Swarovski®.